You just need a few ingredients and youâ€™ve got a beautiful salad! 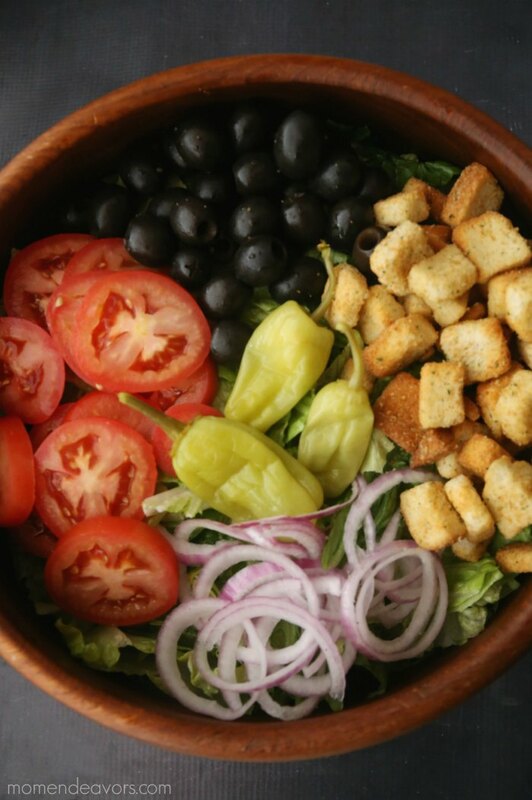 In a large bowl, youâ€™ll just combine your ingredients, toss, and serve with your favorite Italian dressing! Our favorite happens to be from the restaurant. SO easy!